Positive global cues on easing trade protectionist measures along with an appreciation in the Indian rupee lifted the key equity indices — S&P BSE Sensex and the NSE Nifty 50 — to settle at fresh high levels on Monday. On a intra-day basis, the BSE Sensex touched a fresh high of 38,340.69 points, while the Nifty50 climbed a peak of 11,565.30 points. Index-wise, the wider NSE Nifty50 closed at 11,551.75 points, up 81 points or 0.71 per cent from its previous close of 11,470.75 points. The benchmark BSE Sensex which had opened at 38,075.07 points, closed at 38,278.75 points, higher by 330.87 points or 0.87 per cent from its previous close of 37,947.88 points. It touched an intra-day low of 38,050.69 points. In the broader markets, the S&P BSE Mid-cap ended higher by 1.05 per cent and the S&P BSE Small-cap rose by 0.14 per cent. The BSE market breadth was tilted towards the bulls with 1,437 advances and 1,307 declines. “Positive global stocks, optimism over a trade resolution between the USA and China and strong institutional activity at home fuelled investor sentiment and pushed the bourses to close the day with gains,” Abhijeet Dey, Senior Fund Manager for equities at BNP Paribas Mutual Fund. The two economic giants are expected to hold lower-level trade talks this month, offering hope that they might resolve an escalating tariff war, Dey added. Accordingly, major Asian markets closed on a positive note, barring the Nikkei and Straits indices and European indices including FTSE 100, DAX and CAC 40 traded in the green, said Deepak Jasani, Head of Retail Research at HDFC Securities. Besides, global cues, the appreciation in Indian rupee supported the indices’ upward movement. On Monday, the Indian rupee appreciated by 33 paise to settle at 69.83 per US dollar, from its record closing low of 70.16 per dollar on the previous trade session. “The rupee has appreciated today as the US dollar index has witnessed profit booking,” Anand Rathi Shares and Stock Brokers’ Research Analyst Rushabh Maru told IANS. Investment-wise, provisional data with exchanges showed that foreign institutional investors sold scrip worth Rs 483.04 crore and the domestic institutional investors purchased stocks worth Rs 593.22 crore. Sector-wise, the S&P BSE capital goods index rose 668.41 points, the metal index was up 332.36 points and the auto index rose by 244.22 points. In contrast, the S&P BSE IT index declined by 188.84 points, consumer durables fell 127.24 points and Teck (entertainment, technology and media) index ended lower by 76.07 points from its previous close. The major gainers on the Sensex were Larsen and Toubro, up 6.74 per cent at Rs 1,323.95; Tata Motors (DVR), up 5.74 per cent at Rs 143.80, Tata Motors, up 4.74 at Rs 269.55; ONGC up 3.34 per cent, at Rs 168.55; and Tata Steel, up 3.24 per cent at Rs 599.40 per share. The majors losers were Infosys, down 3.22 per cent at Rs 1,385.20; Maruti Suzuki, down 0.79 per cent at Rs 9,075.90; ICICI Bank, down 0.50 per cent at Rs 338.35; Axis Bank, down 0.46 per cent at Rs 624.20; and Hindustan Unilever, down 0.30 at Rs 1,775.40 per share. The BSE Sensex rose over 100 points in early trade today, continuing its winning spree for the 10th straight session, on positive global leads and sustained buying by domestic institutional investors. The 30-share index moved higher by 110.13 points, or 0.32 per cent, to 34,505.19. The gauge had gained 1,375.99 points in the previous nine sessions. All the sectoral indices, led by metal and healthcare stocks, were trading in the positive territory. The broader Nifty too opened higher by 30.70 points, or 0.29 per cent, at 10,579.40. Brokers said continuous buying by domestic institutional investors (DIIs) and retail investors following a firm trend at other Asian bourses, overnight gains on Wall Street, and encouraging economic data strengthened market sentiment. Major early gainers were Wipro, Yes Bank, Adani Ports, ITC, Asian Paint, Tata Motors, Bharti Airtel, ONGC, Sun Pharma, Tata Steel, TCS, Maruti Suzuki and RIL rising up to 1.47 per cent. Meanwhile, on a net basis, DIIs bought shares worth Rs 723.81 crore, while foreign funds sold shares to the tune of Rs 951.39 crore yesterday, provisional data showed. Brokers said continuous buying by domestic institutional investors (DIIs) and retail investors following a firm trend at other Asian bourses, overnight gains on Wall Street, and encouraging economic data strengthened market sentiment. Major early gainers were Wipro, Yes Bank, Adani Ports, ITC, Asian Paint, Tata Motors, Bharti Airtel, ONGC, Sun Pharma, Tata Steel, TCS, Maruti Suzuki and RIL rising up to 1.47 per cent. Globally, Japan’s Nikkei moved up 1.29 per cent and Hong Kong’s Hang Seng gained 0.27 per cent in early trade today. Shanghai Composite Index, however, shed 0.36 per cent. The US Dow Jones Industrial Average ended 0.87 per cent higher in yesterday. Benchmark Sensex soared over 310 points today to close above the 35,000-mark for the first time ever, while the broader Nifty too ended at a fresh life-time high on unabated buying by participants. The 30-share Sensex jumped 310.77 points, or 0.89%, to end at a new peak of 35,081.82, breaking its previous record of 34,843.51 reached on January 15. Intra-day, it climbed to 35,118.61, bettering its previous intra-day high of 34,963.69 reached on January 15. It took 17 sessions for the index to scale the 35,000 mark from 34,000 level reached on December 26. The broader Nifty surged 88.10 points, or 0.82%, to close at a new peak of 10,788.55, breaking its previous record of 10,741.55 hit on January 15. It also touched an intra-day record of 10,803, surpassing its previous high of 10,782.65 hit on January 15. Brokers said sentiment got a lift after the government today lowered the additional borrowing requirement for the current fiscal to ₹20,000 crore from ₹50,000 crore estimated earlier. Foreign portfolio investors (FPIs) bought shares worth a net ₹693.17 crore while domestic institutional investors (DIIs) had sold equities worth a net ₹246.38 crore yesterday, as per provisional data. According to market observers, optimism around quarterly corporate earnings, along with a surge in banking, healthcare and IT stocks, lifted the equity indices to trade at fresh high levels. Around 2.45 p.m., the wider Nifty 50 of the National Stock Exchange rose by 59.70 points or 0.56 per cent to trade at 10,760.15 points. On the BSE, the Sensex traded at 35,023.65 points — up 252.60 points or 0.73 per cent — from its previous session’s close. However, the BSE market breadth was bearish as 1,509 stocks declined against 1,343 advances. On Tuesday, the benchmark indices closed in the negative zone as sentiments were dampened by higher crude oil prices as well as the country’s widening trade deficit. The Nifty 50 fell by 41.10 points, or 0.38 per cent to close at 10,700.45 points, while the Sensex closed at 34,771.05 points — down 72.46 points or 0.21 per cent. The benchmark equity indices gained over one per cent in the morning trading session on Friday as global rating major Moody’s upgraded India’s rating after 14 years. At 10.30 a.m., the 30-share Sensex was trading up 364.20 points or 1.10% at 33,471.02. The broader Nifty was also up 113.30 points or 1.11% at 10,328.05. The market breadth was strong with 1,701 stocks gaining ground as against only 508 declines. Most of the sectoral indices were also trading in the green. The United States-based agency upgraded India’s sovereign credit rating by a notch to ‘Baa2’ with a stable outlook. It upgraded the country’s rating to ‘Baa3’ in 2004, while in 2015, only the rating outlook was changed to ‘positive’ from ‘stable’. It, however, cautioned that high debt burden remains a constraint on India’s credit profile. “Moody’s upgrade comes as a welcome move in the wake of slew of structural reforms in the economy that are expected to enhance the potential growth in the medium term,” said Upasna Bhardwaj, senior economist, Kotak Mahindra Bank. The United States-based agency upgraded India’s sovereign credit rating by a notch to ‘Baa2’ with a stable outlook. It upgraded the country’s rating to ‘Baa3’ in 2004, while in 2015, only the rating outlook was changed to ‘positive’ from ‘stable’. “The decision to upgrade the ratings is underpinned by Moody’s expectation that continued progress on economic and institutional reforms will, over time, enhance India’s high growth potential and its large and stable financing base for government debt, and will likely contribute to a gradual decline in the general government debt burden over the medium term,” Moody’s said in a statement. “In the near term, however, given that debt limits are nearly utilised there remains minimal room for a rally in gsec. Further, inflows in equity markets will also increase domestic liquidity,” he said. It also breached intra-day record of 10,137.85 reached on August 2. The NSE Nifty on Monday closed at record high of 10,153.10 and the Sensex surged by 151 points to end at a six-week high on gains in banking, capital goods and auto stocks after unabated buying by domestic institutional investors amid positive leads from global markets. Sentiments remained upbeat for yet another session following healthy gains across Asian and a higher opening at European markets, traders said. The 50-share NSE Nifty closed at all-time high of 10,153.10, up 67.70 points, or 0.67% after shuttling between 10,171.70 and 10,131.30. It broke previous record closing of 10,114.65 hit on August 1. It also breached intra-day record of 10,137.85 reached on August 2. Reflecting the bullish mood, the NSE Bank Nifty breached the 25,000 mark to hit all-time high of 25,105.35. The 50-share NSE Nifty closed at all-time high of 10,153.10, up 67.70 points, or 0.67% after shuttling between 10,171.70 and 10,131.30. It broke previous record closing of 10,114.65 hit on August 1. It also breached intra-day record of 10,137.85 reached on August 2. Reflecting the bullish mood, the NSE Bank Nifty breached the 25,000 mark to hit all-time high of 25,105.35. The 30-share BSE Sensex also rose by 151.15 points, or 0.47% to end at 32,423.76, its highest closing since August 2 when it had settled at 32,476.74. During the day, it touched a high of 32,508.06. The 30-share BSE Sensex also rose by 151.15 points, or 0.47% to end at 32,423.76, its highest closing since August 2 when it had settled at 32,476.74. During the day, it touched a high of 32,508.06. The gauge had gained 610.64 points in the previous seven straight sessions. Revival of buying by FPIs, who had been major sellers for a long spell on the Indian bourses, too accelerated the buying pace to some extent, helping the benchmark Nifty to scale new highs, brokers said. Markets put up a strong rally on an across-the-board buying frenzy, lifting the Sensex about 500 points to close at 11-month high of 27,627 and the Nifty above 8,400 amid robust global cues. For the Sensex, it’s the biggest single-day gain in over a month. The sentiment got a big push following a rally in global equities as investors cheered a strong US jobs report while a landslide victory for Japan’s ruling coalition in weekend elections boosted stimulus hopes. Monsoon’s coverage of most part of India and a stronger possibility of passage of the deadlocked GST Bill in Rajya Sabha gave more reasons to cheer. After opening higher, the Sensex ended at an 11-month high of 27,626.69, up 499.79 points, or 1.84 per cent — its biggest single-day gain since May 25 when it had risen 575.70 points. Today’s closing is highest since August 19 last year when it ended at 27,931.64. Japan’s Nikkei remained at the forefront, jumping 3.98 per cent, followed by Hong Kong’s 1.54 per cent, Singapore’s 0.97 per cent and the Shanghai Composite’s 0.23 per cent. European bourses are too trading firmly higher, with Frankfurt’ DAX up 1.20 per cent, Paris CAC 0.70 per cent and UK’s FTSE 0.70 per cent. Adani Ports was the top gainer by rising 4.78 per cent. Tata Motors went up 4.15 per cent after the company’s Jaguar Land Rover reported 22 per cent jump in global retail sales in first half the year. Market benchmark Sensex on Wednesday soared nearly 576 points — its biggest single-session gain in nearly three months — to end at 25,881.17 and the NSE Nifty crossed the 7,900-mark on a flurry of buying by foreign funds and retail investors amid a firm overseas cues. The rupee recovering against the dollar from 2-1/2 month low and a string of encouraging earning numbers also contributed to the up move amid covering-up of pending short positions by speculators ahead of tomorrow’s May monthly expiry in the derivatives segment, brokers said. Buying activity gathered momentum as global equities rallied after investors also adjusted to the prospect of a US rate hike in the near future amid a surge in home sales. The Sensex opened strong at 25,432.10 and continued to rise to hit the day’s high of 25,897.87. Finally, it settled at one-month high of 25,881.17, a gain of 575.70 points or 2.28 percent — its biggest single-day gain since March 1. 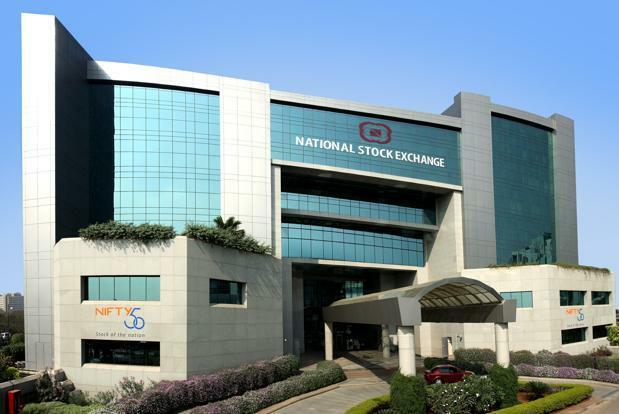 The 50-share NSE Nifty recaptured the 7,900-mark to hit a high of 7,941.20 before winding up at 7,934.90, a hefty rise of 186.05 points or 2.40 percent. From the 30-share Sensex pack, 29 scrips ended higher. Cipla ended in the red with a fall of 4.97 percent at Rs 470.30 after pharma major March numbers came below market expectations. ICICI Bank emerged as the top gainer from the index by climbing 4.48 percent to Rs 234.45 while BHEL jumped 4.34 percent to Rs 122.65 after the company said it has commissioned the first 800 mw supercritical thermal unit in Raichur, Karnataka. Shares of Bajaj Auto climbed 3.96 percent to Rs 2,478.85 after the company reported 29.18 percent growth in standalone net profit to Rs 803.06 crore for the fourth quarter ended March 31. Other major gainers included L&T 4.02 percent, Maruti (3.47 percent), SBI (3.30 percent), HDFC Ltd (2.87 percent), HDFC Bank (2.80 percent), GAIL (2.76 percent), Asian Paint (2.74 percent), Axis Bank (2.67 percent), NTPC (2.46 percent), TCS (2.40 percent), ITC Ltd (2.24 percent) and Tata Steel (2.13 percent). Sectorally, the BSE banking index gained the most by rising 3.17 percent followed by capital goods (2.96 percent), IT (2.25 percent), teck (2.21 percent), power (2.04 percent), oil&gas (2.01 percent), FMCG (1.88 percent), infrastructure (1.82 percent), auto (1.82 percent), PSU (1.77 percent) and metal (1.10 percent). Broader markets too were in a bullish form with BSE mid-cap rising 0.97 percent and the small-cap up 0.94 percent. Meanwhile, the government today approved the first-ever policy for the country’s capital goods sector envisaging creation of over 21 million new jobs by 2025. In Asian markets, Japan’s Nikkei surged 1.57 percent while Hong Kong’s Hang Seng rose 2.77 percent. However, Shanghai composite index slipped 0.23 percent. European markets were trading in the positive terrain with the London FTSE rising 0.68 percent, while Paris up 1.15 percent. It as inevitable to retrace the lost ground of NIFTY before the presentation of budget, but after the budget the market did it.The General Budget presented by the BJP government is liked by common people and the Market. If in the coming week market will cross above 7500 and remain at it for couple of days, then trend reversal is obvious. But probability of trend reversal is low. Market is going to fall slowly and slowly. Probablity of falling is high. Therefore, it’s good time to short the market .As per my opinion, be in short side. NIFTY will try to touch the bottom of 6800. If, it falls hopefully market will loose gains in this week. Reason for this is macro factors not micros. Indian economy is doing well with projected GDP growth 7.5%. However, Global issues are main reasons. Nifty has fallen from 7916 to 7600 in the last week i.e. from 04th January, 2016 to 08th January 2016. Major cause of this fall is the economic slowdown in China. Therefore, the market has touch to 52 weeks low. Global Macro economics and Geopolitical tension in gulf is another major factor of the slow down. Although at present India is the fastest growing economy in the world and the country’s economy is rising on the expected lines, but certainly it will be affected due to globalization and international developments. Now Nifty is in downtrend, if it falls below 7500, can go up to 7000 in 2 to 3 months. But if it recovers to7700 then it may go to 7900. As per today’s prediction, after reaching 7900 the market will again start falling. Long term view is down side. Short selling is best idea for traders. Investors should wait to get the bottom then invest.